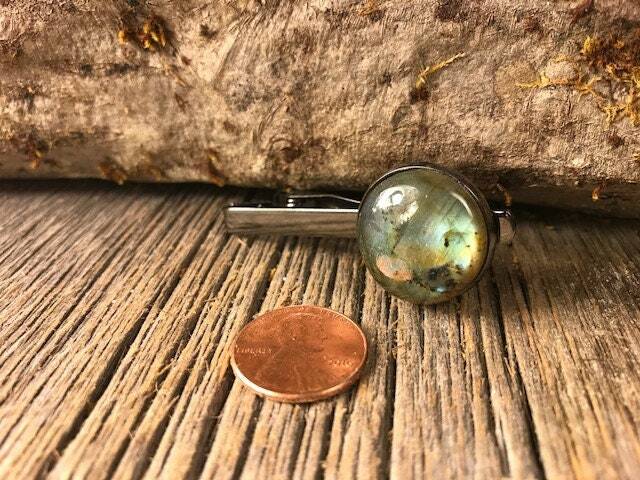 This is a staple within my vast inventory of exotic wood accessories for Him & Her, as any well-dressed businessman has a Tie Clip, but not a Tie Clip as unique as this. 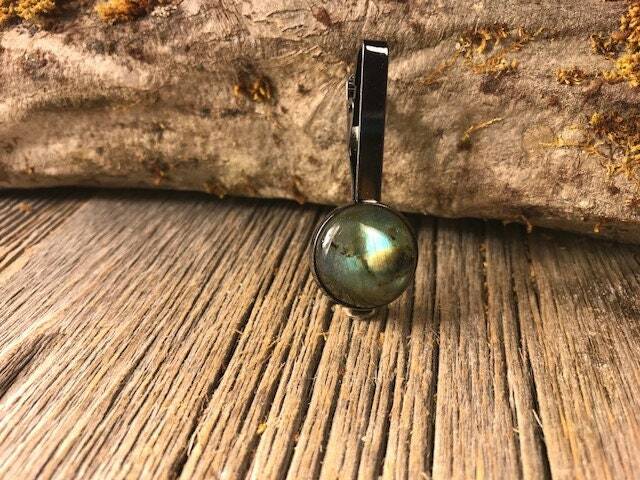 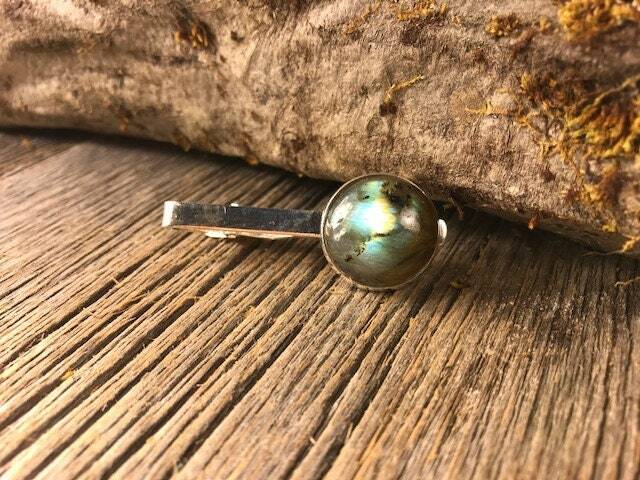 This simple and unique Tie Clip features a gorgeous cut of Green Fire Labradorite, precisely inlaid into a high-quality Brass Tie Clip. 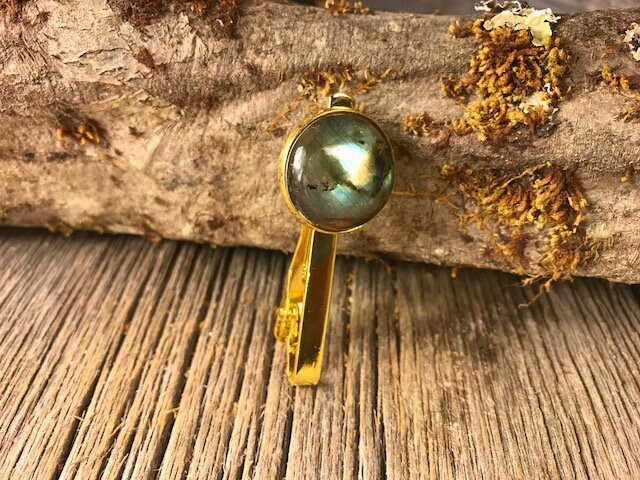 -	Each piece is then individually buffed for a finish-like high shine. 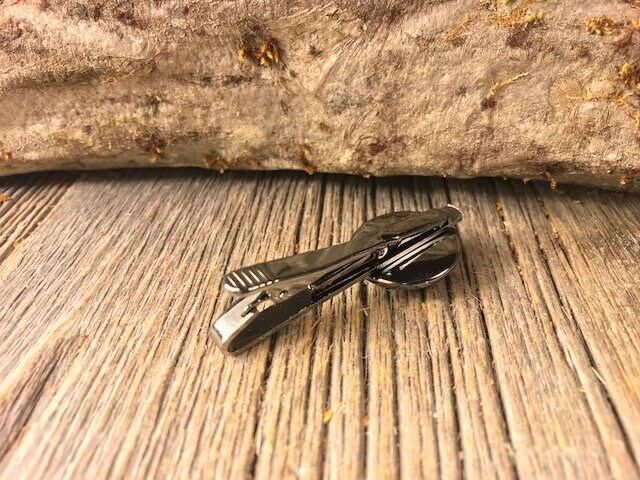 Every piece is unique in texture and grain and boasts a beauty that only natural stone can achieve.